Toraverb 2 by D16 is not like any normal reverb plug-in. 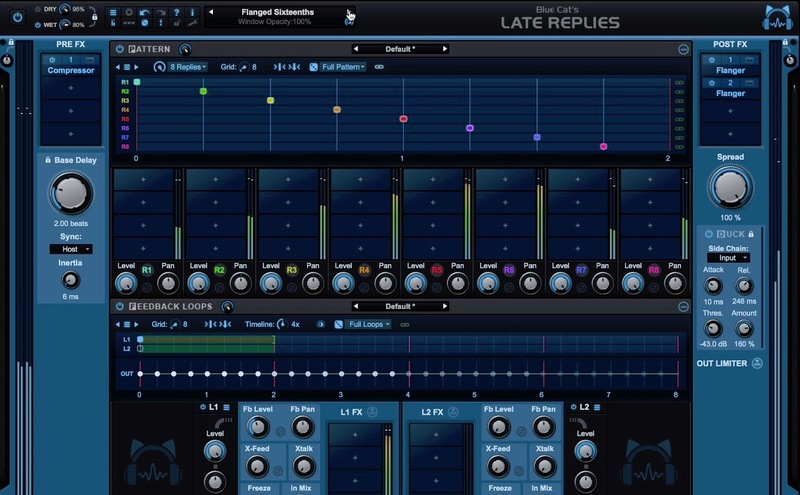 Generally, reverb plug-ins implement “off-the-shelf” algorithms, relying on spring, room, hall or plate algorithms. 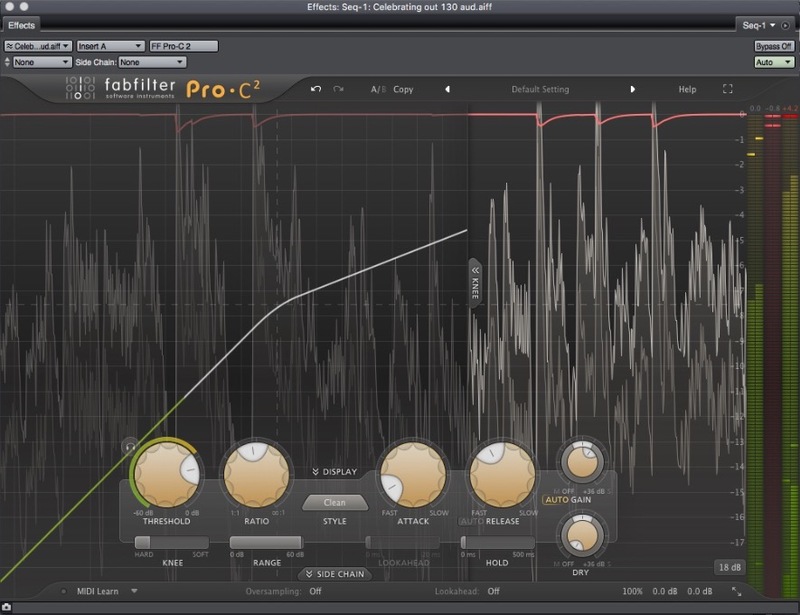 Toraverb 2 is a concept algorithm reverb. 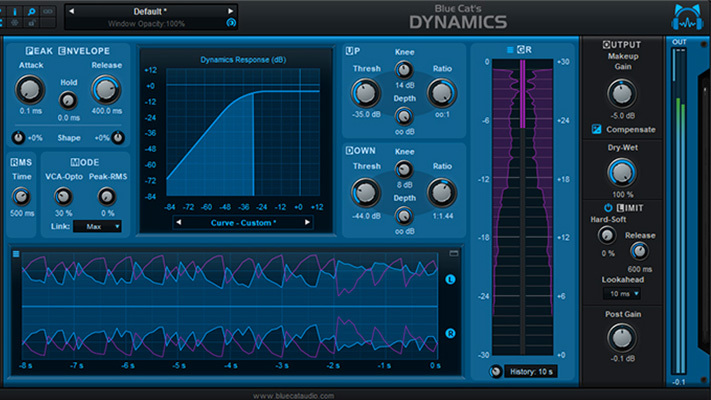 Using a set of easily accessible parameters, it allows its user to create practically any type of reverb. D16’s goal is to create a reverb that sounds pleasant to the listener in addition to allowing the output to be tweaked in many ways by the user. 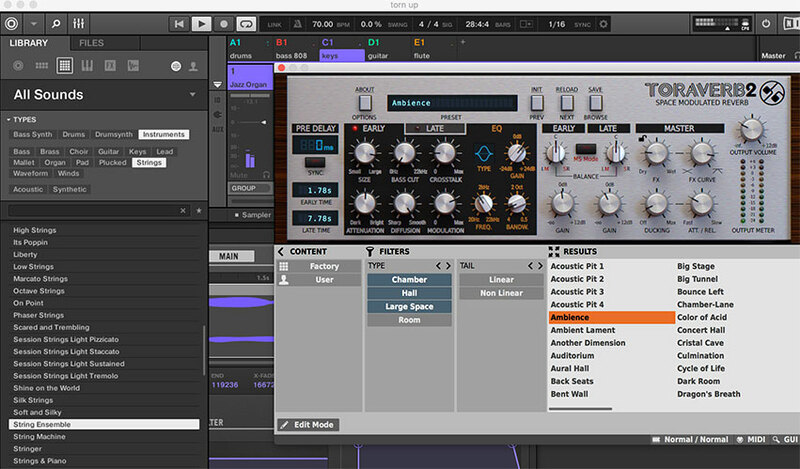 This give the user complete control of all parameters enabling them to create their own unique sounds. Reverb is an essential effect for any producer at any level. Good results depend on the reverb algorithm used and the quality of the implementation. Usually reverb is used as a send effect in which many channels in a mix are routed to it. Reverb has a very fine line. It can make or break your track. You do not want your reverb tail to sound like it has been ‘ripped-off’ in the mix. In Toraverb 2, D16 applied a diffusing network of the highest possible quality based on modified all-pass filters. 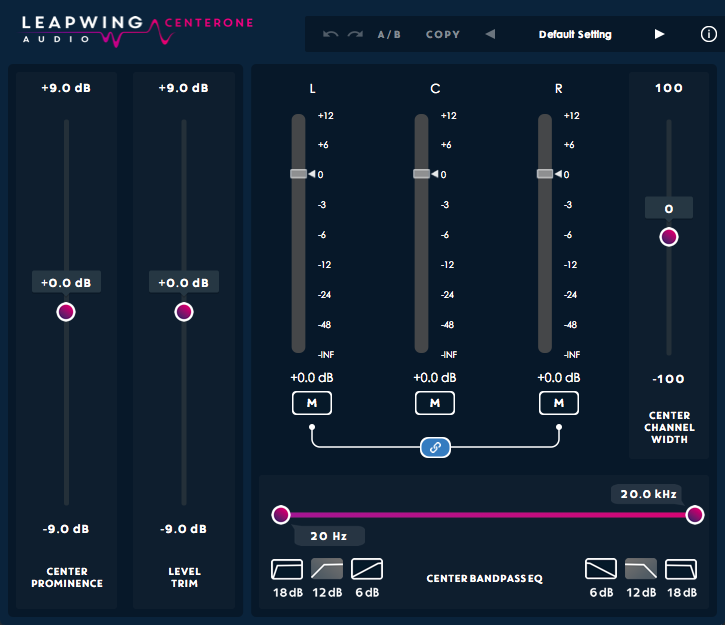 By doing this and using properly tuned parameters, Toraverb 2 eliminates unwanted flutter echo effects for every sound source. Toraverb 2 is equipped with two independent, single band, full parametric equalizers with 3 available curve types each. One is used to EQ early reflections and the other to EQ late reflections. This feature allows the user to have a lot of control over the character of the reverb allowing you to achieve a more natural sound. Toraverb 2 also has an additional modulation parameter, which affects the diffusing network. By changing the modulation, the sound of the reverb tail can be altered to give a more realistic effect of sound propagation. A unique component of Toraverb 2 is its innovative spatial reflection algorithm. It improves spatial reflections by allowing cross-talking of reflected stereo waves between stereo channels. This models what happens in the real world when a sound audible only in the left ear is reflected and is heard in both ears. Toraverb 2 also features a built-in ducker. This compresses the wet signal’s amplitude proportionally to the loudness of dry/unprocessed input, thus saving an overall output signal energy. 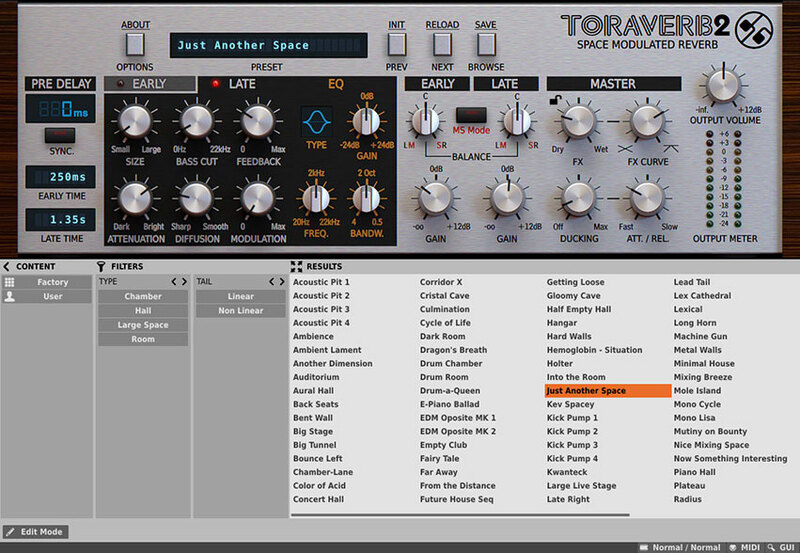 To cap it off, Toraverb 2 has a strong collection of presets that the user can use as a learning tool or as a base to creating their own quality sounds. Windows and Mac OS X compatible. Supports VST, AU, AXX plug-in formats. Toraverb 2 is unique for all the right reasons. It stands out and becomes incomparable to any reverb I have been using recently. Toraverb 2 is the most versatile reverb I have used in my time as a producer. 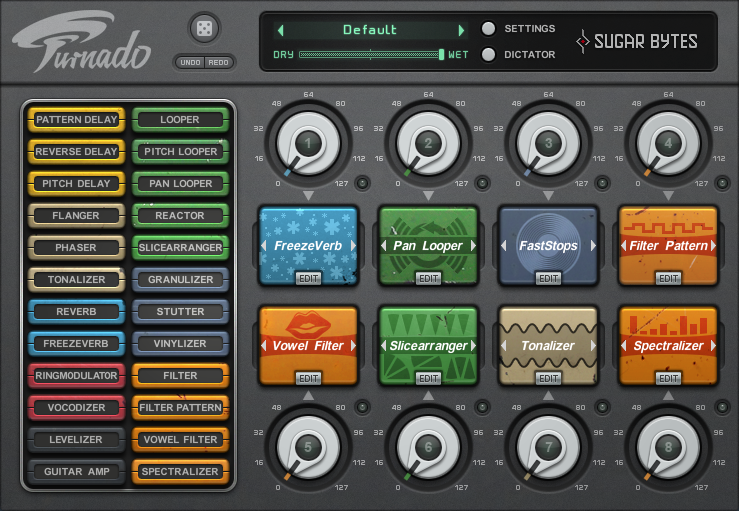 The plug-in allows you to sculpt any type of reverb. The possibilities are endless and the user has full control. The GUI is extremely intuitive and easy to use. The master panel is equipped with a lock button, setting in your parameters as you cycle through the library of quality presets. Any time I am using a new plug-in, it is always important to me that the plug-in has a strong preset library, as that is what I go to first to get a handle of the parameter controls. Toraverb 2 did not fail, it comes with great sounding presets that the user can then manipulate to achieve their own unique sound. 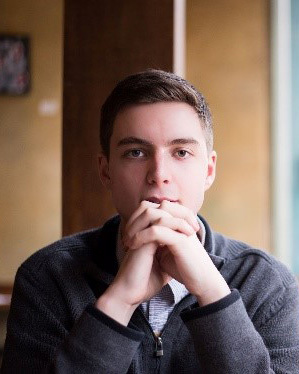 I am constantly producing ambient music and soundscapes; the Toraverb 2 fit in to my production style very well. A few of my favourite presets are: Ambience, Cycle of Life, Gloomy Cave and Lex Cathedral. The sound quality and modulation capabilities are beyond impressive. My favourite use I have found for Toraverb 2 thus far is being able to take my guitar tone to the next level. I am able to create a fatter sound, unique transition effects between notes and maintain an overall quality ambience. Another feature I thought was great is the built-in ducker. This allows the user to control a built-in compressor which reduces the level of the wet signal proportionally to the level of the dry/unprocessed signal. Thus, allowing the user to create sidechain compression. 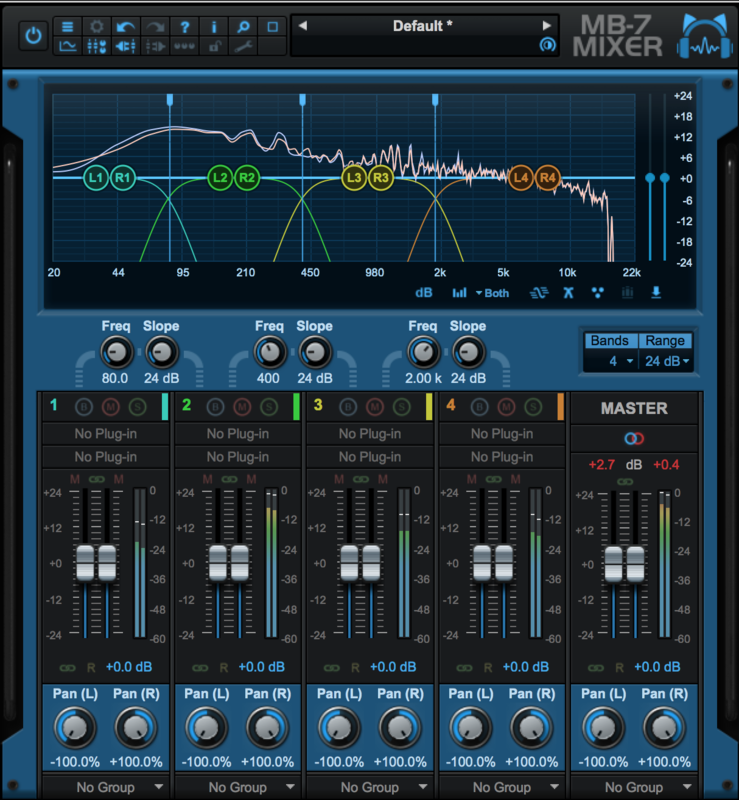 This will save you time in your work flow as well as eliminate the need for an external sidechain compressor. I found this really helped with mixing my drums, especially when applying reverb to my kicks. 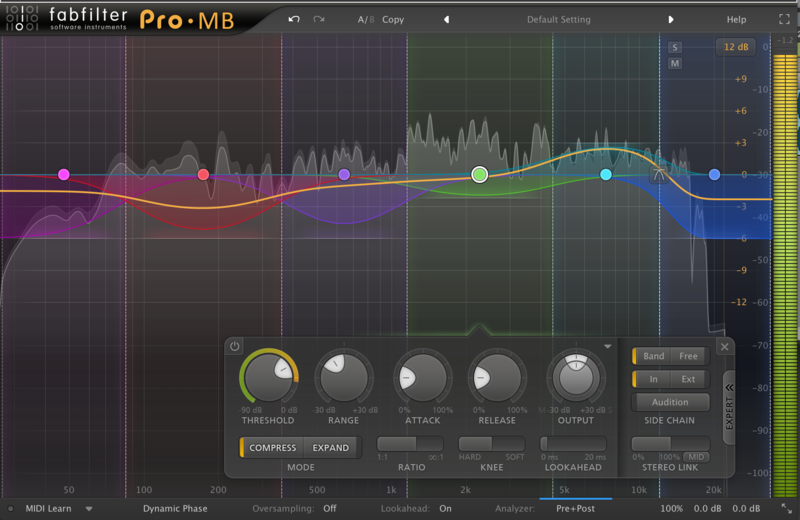 D16’s Toraverb 2 does not disappoint, and sits at a fair price point, I highly recommend this plug-in.